The Wretched of the Earth by Frantz Fanon offers a powerful critique of colonial rule, while at the same time providing a call for violent and revolutionary struggle against European imperialism. Written in 1961 and in the context of the Algerian War of Independence, Fanon extols the virtues of violence as a means to liberate colonial subjects both politically and physiologically. Yet while The Wretched of the Earth is often lauded, or condemned as a revolutionary or dangerous treatise, Fanon’s philosophies on violence cannot and should not be viewed in isolation. In this respect, it is useful to compare Fanon’s writings, and in particular his theories on violence in de-colonial and revolutionary struggles, with those of Mao Zedong, who I argue provided an equally attractive, and at the time more influential, justification of violence. There are remarkable similarities between both authors, in terms of their analysis of the inherent violence in colonial rule, as well an in their perspective of violence as a cleansing or legitimizing force in revolutionary struggles. Both rely on Hegelian philosophy, in particular is dialectic reasoning, as well as Marxist interpretations of class struggle to underpin their philosophies, although they depart from classical Marxists in advocating for armed resistance amongst the peasantry rather than the urban proletariat. However, where Fanon’s analysis is primarily existential, in that he seeks to explore the nature of violence itself, Mao’s view of violence is primarily instrumental, in that it seeks to provide a practical guide for the use of violence in guerrilla operations. However, this summary should be taken with caution, for in my view Frazer and Hutchings overemphasis the instrumentalist aspect of Fanon’s philosophy. While Fanon certainly justified the use of violence in instrumentalist terms, which is to say that violence is a means to a political end (i.e. decolonization), his analysis of violence in de-colonial struggles is primarily centred on exploring the nature of violence itself. In this sense, Fanon’s view of violence is primarily existential. Fanon does not discuss tactics and as such The Wretched of the Earth cannot be viewed as offering practical guidance to guerrilla movements to the same extent that Mao’s military writings did, which were based on his own experience of guerrilla warfare against first the Japanese and then the Kuomintang. Rather, Fanon focuses on the nature of the colonial regime (which he views as inherently and systemically violent), and as such the necessity for violent struggle rather than political accommodation as necessary pre-requisites to independence. Fanon’s justification of violence is rationalized by his analysis of European colonial rule, which he characterizes as inherently violent. In the opening lines of the Wretched of the Earth, Fanon declares that “decolonization is always a violent event….it reeks of red-hot cannonballs and bloody knives.” This notion of violence as an integral part of the colonial system is a central theme throughout the work, and Fanon addresses it repeatedly. Later on, Fanon notes that, “colonialism is not a machine capable of thinking, a body endowed with reason. It is naked violence and only gives in when confronted with greater violence.” Violence is justified, but only insofar as it is used to overthrow an inherently violent system. Though it is not the focus of this paper, it is important to note that Fanon’s views on violent revolution stand in marked contrast with those of M. K. Gandhi, who argued that non-violence was the best means to overthrow colonial rule. For Gandhi, independence could only be gained through ‘internal self-control’. For his part, Fanon decried non-violence as, “an attempt to settle the colonial problem around the negotiating table”, thereby ensuring that a corrupted and co-opted colonial bourgeoisie merely replaced the old European overlords.Non-violence was a path to bourgeois siege oppression. Only through violent struggle could the masses free themselves from both forms of despotism. However, that is not to say that Fanon glorifies violence even within the context of decolonization, and certainly not to the same extent as Jean-Paul Sartre does in his preface toThe Wretched of the Earth, who declared that “violence, like Achilles’ spear, can heal the wounds it has inflicted”. For Sartre, violence is the ‘only means of historical change’. Even Hannah Arendt, whose book On Violence devotes a great deal of time to refuting what she describes as an “undeniable glorification of violence” in The Wretched of the Earth, recognized that Sartre went further than Fanon in justifying the virtues of violence. Homi K. Bhabha goes further, and notes in his forward to The Wretched of the Earth that “the man [Fanon], deep down hated it [violence]”.Fanon is deeply conscious of the effects of such violent acts upon the individual psychosis; indeed the last section of The Wretched of the Earth, titled ‘Colonial War and Mental Disorders’, explores this theme in depth. As such, it is perhaps best to view Fanon’s philosophy of violence within the decolonization, in which violence is an inevitable part of the struggle for freedom given the nature of the system it is attempting to overthrow. This notion that only a greater exertion of violence can overthrow a violent system is significant in relation to Fanon’s justification of violence as a cleansing force. Not only is violence a tool to be utilized in the struggle for political freedom and independence, but it is also the means by which a colonial subject frees himself psychologically from colonial rule and a colonial mindset. “At the individual level, violence is a cleansing force. It rids the colonized from their inferiority complex, of their passive and despairing attitude. It emboldens them, and restores their self-confidence”. In this sense, Fanon is more clearly in line with Sartre. Yet, even though Fanon provides a powerful critique of colonialism, especially in respect in its inherent violent nature, and proceeds to rationalize violent struggle as the only means to overthrow a violent system, he does not explain how such a revolution is to be achieved. True, Fanon discusses at length the need for guerrilla operations and notes various guerrilla movements in Africa (most notable is his discussion of the FLN in Algeria), but he does not explain how such operations are to be achieved or how violence can to be applied as an instrument of war. Given the absence in The Wretched of the Earth of any discussion on the application of violence, I believe Fanon’s theories of violence must be compared with the contemporary political thought of Mao Zedong, which I would argue during the 1960s and 1970s provided an equally attractive and more influential rationale for violence in de-colonial struggles. Mao’s political thought was especially attractive to leftist organizations in European colonies during the 1960s and 1970s for numerous reasons, chief amongst them was the fact that Mao had successfully led the Chinese Communist Party (CCP) to victory over the Chinese Nationalists and Japanese in the 1940s. As such, Mao’s writings on revolutionary struggle (most of which date from the period of the CCP’s guerrilla campaigns in the 1930s and 1940s) could be seen as offering practical guidance to other revolutionary movements around the world. In addition, by the mid-1960s Mao had come to view China as the center of the world revolutionary movement, and as such he and the CCP expressed their public support for various de-colonial movements in Asia, Africa, and Latin America. For example, on May 3 and 7, 1960 Mao received large delegations of workers unions and students from 14 different countries of Africa and Latin America. The Foreign Language Press of Peking ran editorials detailing the meetings, and noted that Mao “expressed full sympathy and support for the heroic struggle of the African people against imperialism and colonialism”. Mao’s justification of violence, which he explores in numerous works but especially in On Guerrilla Warfare, reads more like a practical manual than an existential treatise. Mao famously proclaimed that “Political power grows out of the barrel of a gun”. 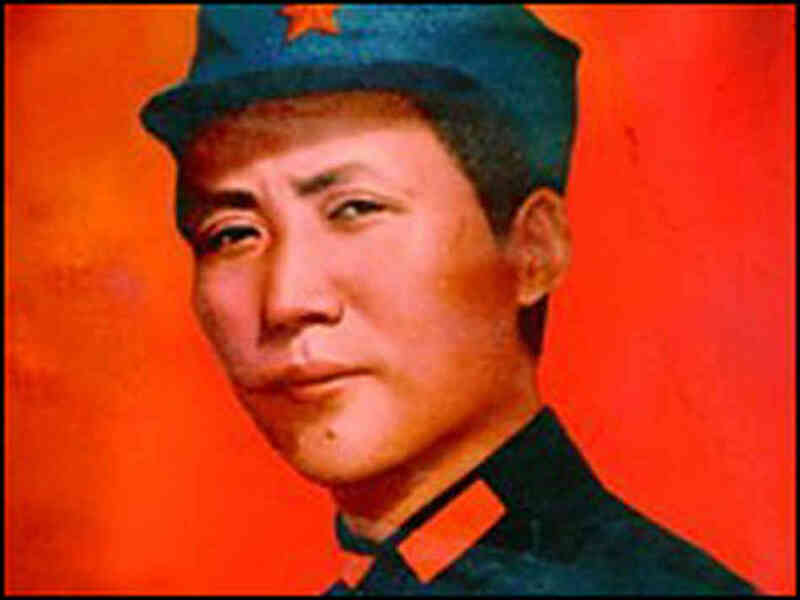 For Mao, armed struggle was an essential component in any revolutionary struggle. Without it neither the “proletariat, nor the people, nor the Communist Party would have any standing at all”. Violence, then, is a legitimizing factor for a revolutionary organization. Non-violence is not an option in Mao’s conception of revolutionary struggle since it would deprive a revolutionary movement of its principle means of legitimacy. Yet, as already noted, Mao and Fanon differ radically in the manner in which they conceptualize and present their rationalization of violence in their respective writings. In contrast to Fanon’s works, which provides only a rationale for guerrilla warfare, Mao’s treatises read like a practical manual for the application of such violent struggle. For instance, Mao outlines a three-stages theory for guerrilla operations; strategic defense, stalemate, and strategic offense, and stressed the need to consider the political context when preparing for each stage of a guerrilla operation. In this way Mao links an instrumentalist understanding of the usefulness of violence in revolutionary struggles to a practical goal of overthrowing a colonial regime while maintaining the support of the masses to a degree that Fanon never achieves (and probably never sought to achieve). It is important to note the influence of Hegel’s dialectical reasoning on the writings of both Fanon and Mao. Yet, I would argue this influence should be understood not through the writings of Hegel himself, but rather through the interpretation and application of Hegel’s theory of dialectical reasoning in the writings of Sartre and Clausewitz. Fanon was largely influenced by Sartre in his own use of Hegelian dialectic reasoning, and in particular by Sartre’s Anti-Semite and the Jew.Sartre reasoned that “it is not the Jewish character that provokes anti-Semitism but rather . . . it is the anti-Semite who creates the Jew”. The similarities between Sartre’s analysis of anti-Semitism and Fanon’s own conceptualization of the settler-colonized relationship are striking; “It is the colonist who fabricated and continues to fabricate the colonized subject”. Mao, by contrast, understood Hegel’s concept of dialectic reasoning primarily through his readings of Clausewitz’s On War, which utilized a dialectic approach to examine the relationship of offense and defense in guerrilla operations. As such, Mao came to view guerilla warfare (and violence more generally), in relational terms (Clausewitz compared it to the dynamic of a wrestling match). That Mao would seek to explore the nature of this dynamic and to articulate the factors that govern violence in revolutionary struggles should not therefore come as any great surprise. Who then were to be the agents of this revolutionary violence? Both Fanon and Mao depart from the Marxist-Leninist view of history in a number of important respects, primary in their belief that it is the rural peasantry, not the urban proletariat, which are to be the vanguard of a new revolutionary struggle against colonial rule.Marx himself believed that the peasant was at heart a conservative creature, a ‘sack of potatoes’, and that their agrarian life bred in the peasantry a collective ‘rural idiocy’. For Marx and later Lenin, only the urban proletariat can be the engine of revolution, although Lenin did concede that it is sometimes necessary to form a temporary alliance between the proletariat and the peasantry in primarily agrarian societies. The proletariat, by contrast, cannot be the engine of such revolution because it is first too small, and second because it has been co-opted by the colonial regime as well as the native bourgeois elements. Mao takes a similar perspective, though he is not as explicit as Fanon. Whereas Fanon refers explicitly to the revolutionary potential of peasantry, due to their inherently oppressed state, Mao preferred to speak of the masses and the mass line. That being said, that Mao equated the term ‘masses’ with ‘peasants’ cannot be doubted given that China remained in the period of the Chinese Civil War an overwhelmingly peasant society. Mao declared that that the “masses are the real heroes”, that they have “boundless creative power” and more explicitly, that the “peasant movement is a colossal event”. It can therefore be stated that Fanon and Mao viewed and justified violence in remarkably similar ways. Both saw violence as inevitable in revolutionary struggles (particularly in guerrilla operations) against violent colonial regimes, and stressed the importance of the peasantry as the vanguard of colonial liberation (in contrast to Marxist-Leninism which emphasized the proletariat as the vanguard of the world revolution). However, Fanon and Mao differ in their conceptualization of violent struggle in terms of their focus. Fanon chose to analyse the nature of the colonial regime, which he characterized as inherently violent, and its impact (both physical and physiologically) on the individual colonial subject. His justification of violence is rooted in his understanding of violence as a liberating force (both literally and figuratively) for the colonized masses. Mao, by contrast, emphasizes the role of violence as an instrument of political power, and as such his works provide not only a rationale for guerrilla warfare, but also advice to revolutionary movements on how to conduct such operations based upon Mao’s own guerrilla experiences. In short, Fanon justifies violent struggle primarily in existential terms while Mao applies a more instrumentalist rationale for violent revolution. Arendt, Hannah. 1970. On Violence. New York: Brace and World. Fan, K. ed. 1972. Mao Tse-Tung and Lin Piao: Post-Revolutionary Writings. New York: Anchor Books. Fanon, Frantz. 1961. The Wretched of the Earth, translated by Richard Philcox with forward by Homi K. Bhabha and preface by Jean-Paul Sartre. New York: Grove Press, 2004. Mao Zedong, 1967. Chairman Mao Tse-Tung on People’s War. Peking: Foreign Language Press. Mao Zedong, 1972. Quotations from Chairman Mao Tsetung. Peking: Foreign Language Press. Marx, Karl. 1990. Capital: A Critique of Political Economy, Vol. I, translated by Ben Fowkes. London: Penguin Books. Sartre, Jean-Paul. 1948. Anti-Semite and the Jew. New York: Schocken Books, 1995. Bunker, Robert. 1999. “Unconventional Warfare Philosophers”. Small Wars and Insurgencies 10, no. 3: 136-149. Frazer, Elizabeth and Kimberly Hutchings. 2008. “On Politics and Violence: Arendt Contra Fanon”.Contemporary Political Theory 7, no. 1: 90-108. Gendzier, Irene L. 1973. Frantz Fanon: A Critical Study. New York: Pantheon Books. Kaempf, Sebastian. 2009. “Violence and Victory: guerrilla warfare, ‘authentic self-affirmation’ and the overthrow of the colonial state”. Third World Quarterly 30, no. 1: 129-146. Kawash, Samira. “Terrorists and Vampires: Fanon’s Spectral Violence of Decolonization” in Anthony C. Allesandrini, ed. 1999. Franz Fanon: Critical Perspectives. London: Routledge. Meisner, Maurice. 1999. Mao’s China and After: A History of the People’s Republic, 3rd ed. New York: The Free Press. Perinbam, Marie B. 1973. “Fanon and the Revolutionary Peasantry: The Algerian Case”. The Journal of Modern African Studies 11, no. 3: 427-445. Presbey, Gail M. “Fanon on the Role of Violence in Liberation: A Comparison with Gandhi and Mandela” in Lewis R. Gordon, T. Denean Sharpley-Whiting, and Renée T. White, eds. 1996. Fanon: A Critical Reader. Oxford: Blackwell Publishers. Schram, Stuart R. 1969. The Political Thought of Mao Tse-Tung, revised ed. New York: Frederick A. Praeger Publishers. Elizabeth Frazer and Kimberly Hutchings. 2008. “On Politics and Violence: Arendt Contra Fanon.”Contemporary Political Theory 7, no. 1: 102. Sebastian Kaempf, 2009. “Violence and Victory: guerrilla warfare, ‘authentic self-affirmation’ and the overthrow of the colonial state”. Third World Quarterly 30, no. 1: 129. Frantz Fanon, 1961. The Wretched of the Earth, translated by Richard Philcox with forward by Homi K. Bhabha and preface by Jean-Paul Sartre, (New York: Grove Press, 2004): 1, 3. Gail M. Presbey, “Fanon on the Role of Violence in Liberation: A Comparison with Gandhi and Mandela” in Lewis R. Gordon, T. Denean Sharpley-Whiting, and Renée T. White, eds. 1996. Fanon: A Critical Reader. Oxford: Blackwell Publishers, 283. Jean-Paul Sartre, Preface in Fanon, 1961, xii; Marx expressed a similar idea when he stated that ‘force is the midwife of every old society which is pregnant with a new one’. Karl Marx, Capital: A Critique of Political Economy, Vol. I, translated by Ben Fowkes, (London: Penguin Books, 1990): 916. Samira Kawash, “Terrorists and Vampires: Fanon’s Spectral Violence of Decolonization” in Anthony C. Allesandrini, ed. 1999. Franz Fanon: Critical Perspectives. (London: Routledge), 235. Hannah Arendt, 1970. On Violence. (New York: Brace and World): 122; Frazer and Hutchings, 98-99. Homi K. Bhabha, Forward in Fanon, 1961, xxi. Irene L. Gendzier, 1973. Frantz Fanon: A Critical Study, (New York: Pantheon Books), 200-202; Kaempf, 139. Robert Bunker, 1999. “Unconventional Warfare Philosophers”. Small Wars and Insurgencies 10, no. 3: 141; Fanon, 23; Kaempf 142. Schram, Stuart R. 1969. The Political Thought of Mao Tse-Tung, revised ed. (New York: Frederick A. Praeger Publishers), 111, 121. K. Fan, ed. 1972. Mao Tse-Tung and Lin Piao: Post-Revolutionary Writings. (New York: Anchor Books), 259-260. “Problems of War and Strategy” (November 6, 1938), quoted in Quotations from Chairman Mao Tsetung. Peking: Foreign Language Press, 1972), 61. “Introducing the Communist” (October 4, 1939), quoted in Chairman Mao Tse-Tung on People’s War, (Peking: Foreign Language Press, 1967), 5. Jean-Paul Sartre, 1948. Anti-Semite and the Jew, (New York: Schocken Books, 1995): 152. Fanon, 23; Maurice Meisner, 1999. Mao’s China and After: A History of the People’s Republic, 3rded. (New York: The Free Press): 44. Marie B. Perinbam, 1973. “Fanon and the Revolutionary Peasantry: The Algerian Case”. The Journal of Modern African Studies 11, no. 3: 428. Mao Zedong, 1972. Quotations from Chairman Mao Tsetung. (Peking: Foreign Language Press): 118-119.